My daughter went to high school with Lauren here in Edgemont, New York. 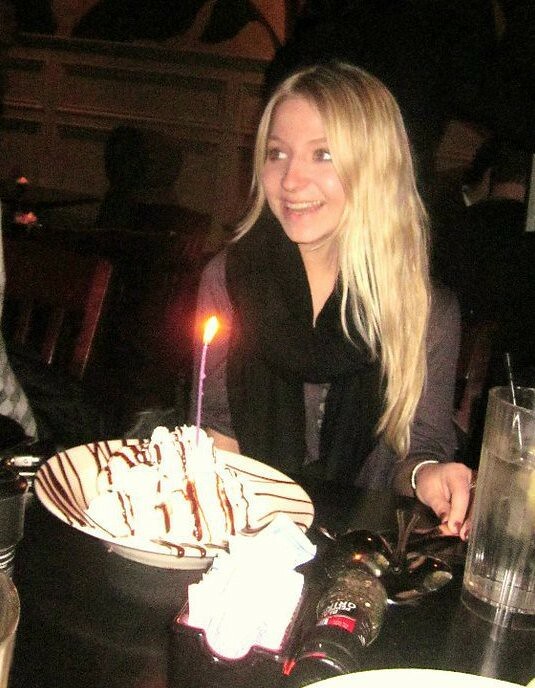 We are very worried as the hours since she has been seen are increasing. Please read, family is organizing search for tomorrow morning. “Lauren! Lauren!” pierced the backwoods silence of Hoosier State Park, in the Lake Monroe area and more. 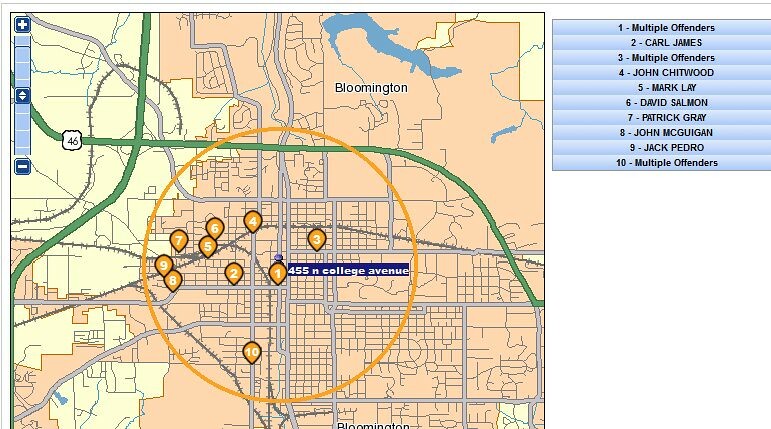 Family members descended on greater Bloomington looking for missing I.U. 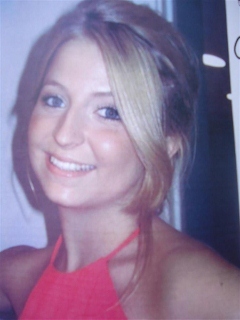 student Lauren Spierer, a 20-year-old last seen 4:30 a.m. Friday. Witnesses say she was walking from 11th Street toward her apartment building at 8th and College Avenue -- she was 3 blocks away and vanished. Police say she wasn’t wearing shoes after a night out. Family also tells 24 Hour News 8 she has a heart condition and needs her meds. She's such a beautiful girl. I hope they find her safe. 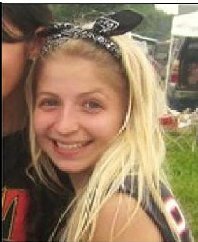 MISSING: LAUREN SPIERER « : : beautiful chaos – LAST SEEN: Walking south on College Avenue in Bloomington, IN (heading from 11th and College to Smallwood Plaza to here apartment)Before 4:30 a.m. Lauren Spierer hangs out with friends at Kilroy’s Sports Bar and a friend’s party. At 4:30 a.m. Spierer is seen near the intersection of 11th Street and College Avenue, walking south on College. Video footage at the entrance of Smallwood Plaza that night shows she never made it home. OK, so the friend party must have been up towards 11th street. 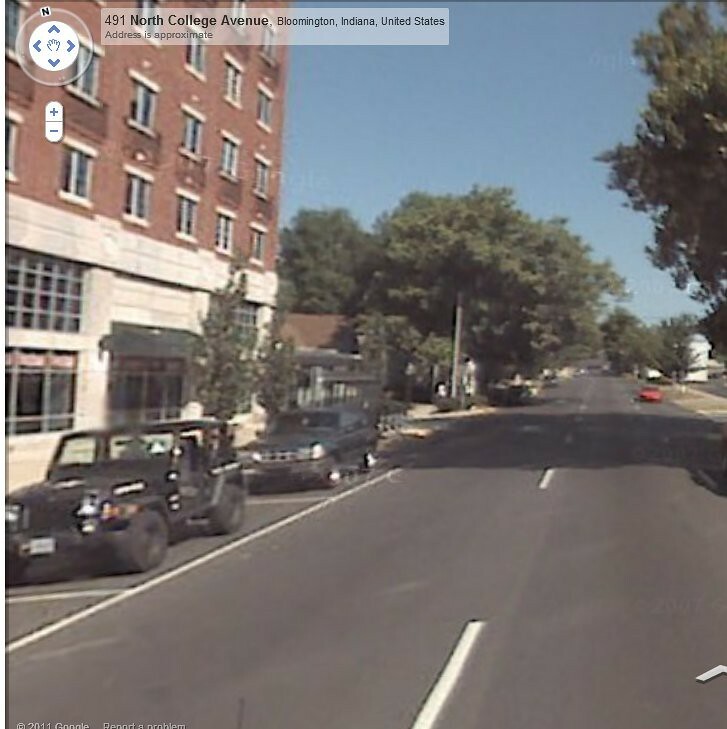 She was walking south on 11th street towards her apartment but never got as far as her apartment. Thanks RED - will get more exposure now with the front page post. 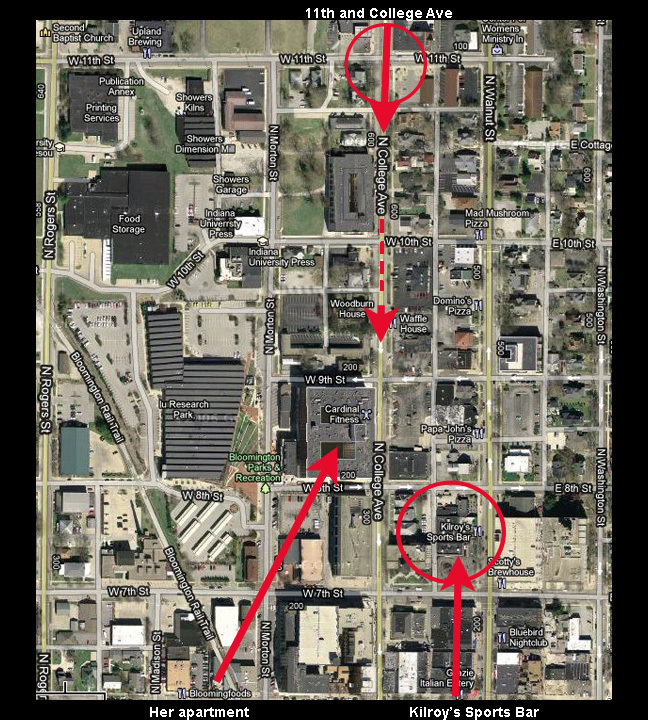 Those interested in helping with the search can meet in front of Smallwood Plaza at 455 N. College Ave. Monday, June 6 at 10 a.m., 1 p.m. and 5:30 p.m. 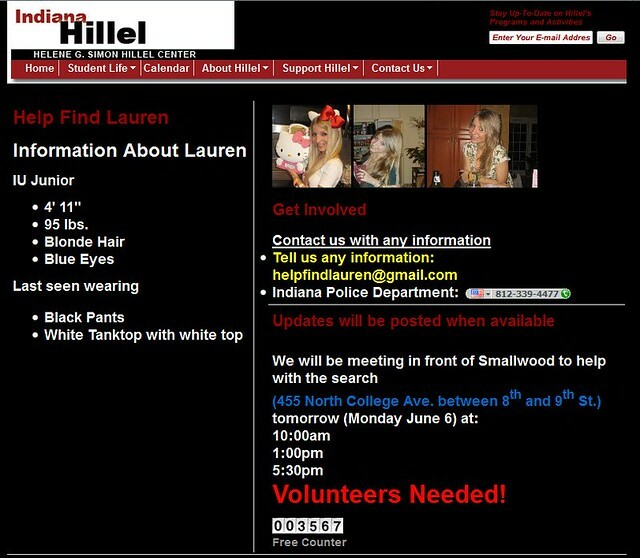 The Hillel Center has set up a website to track information about this case at iuhillel.org. Page created in 8.115 seconds with 21 queries.